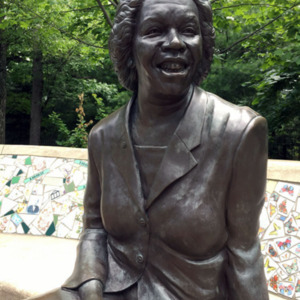 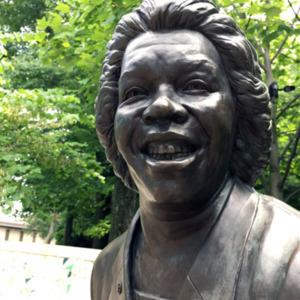 A lifesize portrait of Stephanie Tubbs-Jones seated on a bench by the Western Reserve Historical Society. 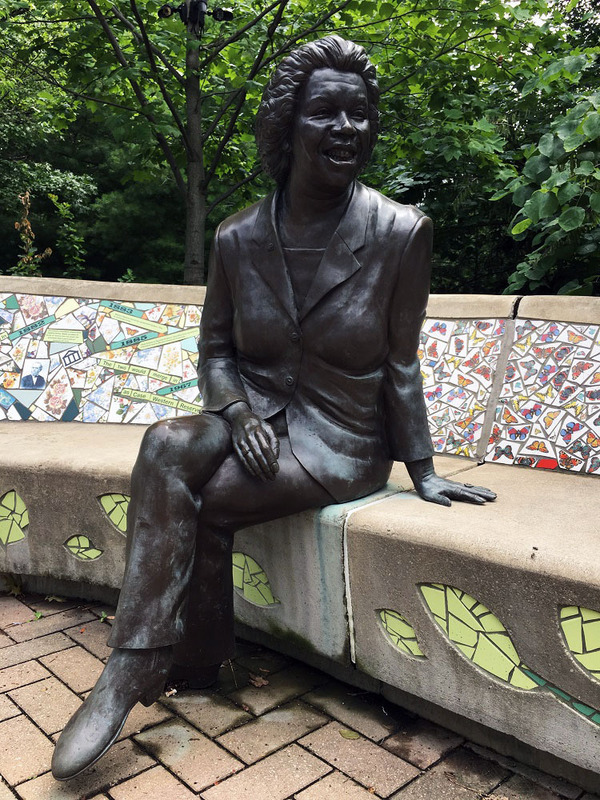 Her body is poised for conversation, with her hand on the seat beside her, as if she is inviting passers by to sit beside her and chat. 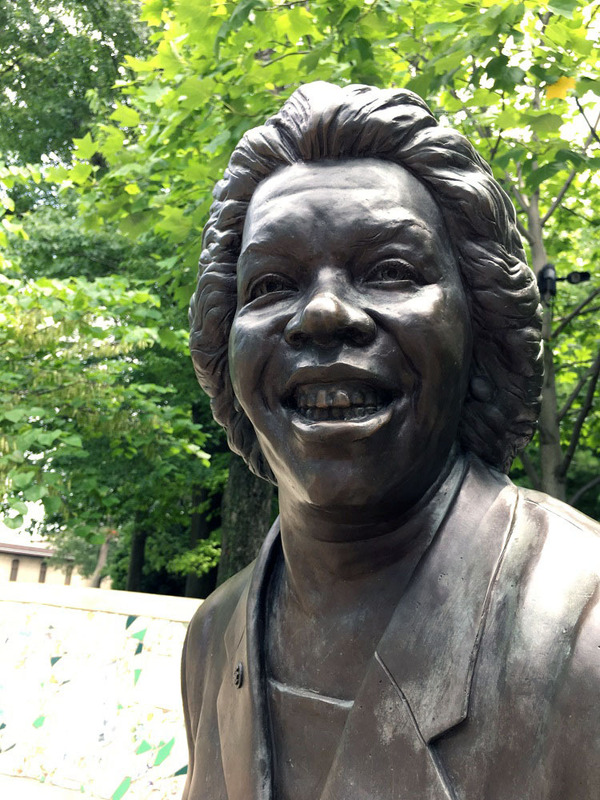 A broad grin dominates her face, highlighting her amiability and her love for her constituents. 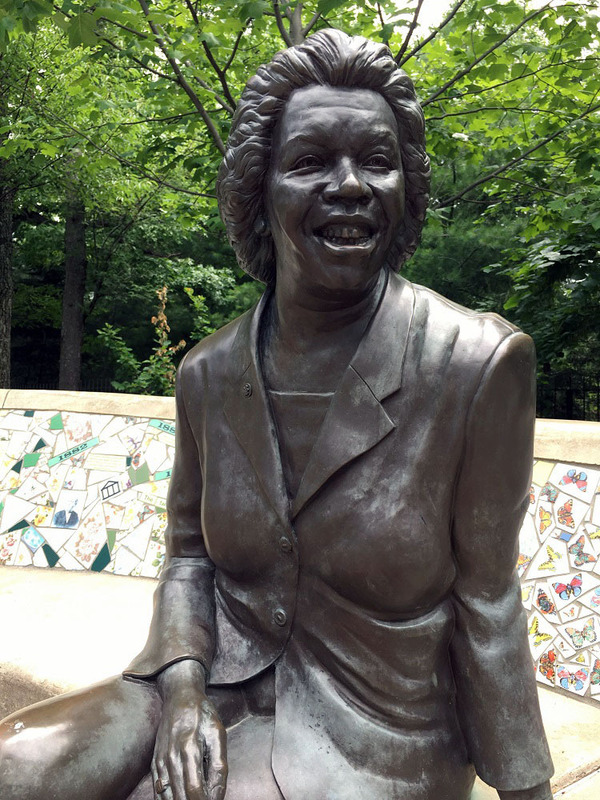 : David Deming, “Stephanie Tubbs-Jones,” Ohio Outdoor Sculpture Inventory, accessed April 18, 2019, http://oosi.sculpturecenter.org/items/show/1432.